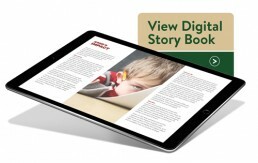 ADHD America Turns to Celtic for Digital Storytelling - Celtic, Inc.
We are very excited to announce that we’ve recently partnered with ADHD America to create a digital story book to help educate people about the foundation and the widespread, negative impact of ADHD. In addition to developing educational materials, we will also be sponsoring the Team ADHD America Cycling team, which was created to raise awareness about the disorder among the general public, as well as raise funds to sustain ADHD America’s vital work. Established in 2014, ADHD America is committed to making a difference in the lives of students who struggle with the effects of their disorder by providing direct support and recourse to families impacted by ADHD. Services range from one-on-one to group academic coaching, as well as smartphone software solutions. ADHD America is currently partnering with Inner-City Computer Stars Foundation (I.C. Stars) to develop an innovative, free smartphone app that will help treat school-aged children diagnosed with ADHD. The first-of-its-kind app will serve as a 24/7 virtual coach to offer families expert advice and help resolve real-time situations that may arise.